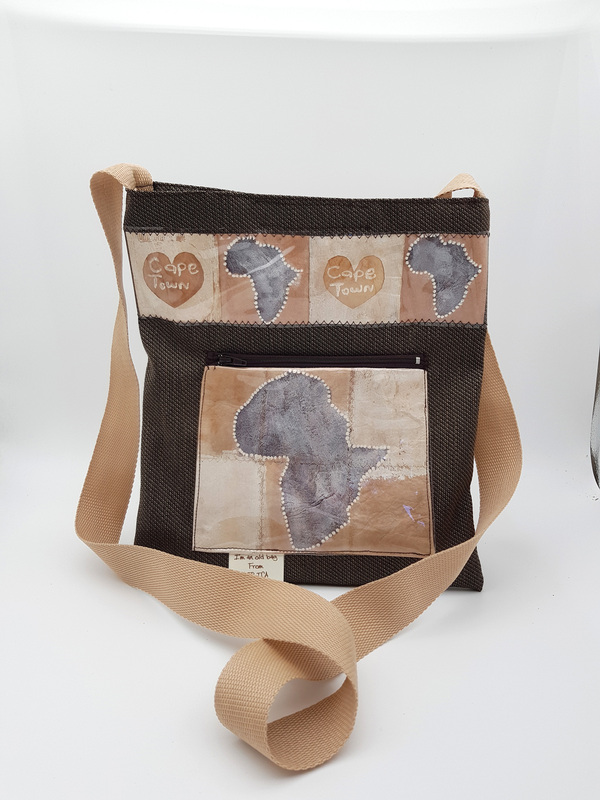 Lucy’s African Sling Bag is a stylish sling bag with painted recycled t-bags and velvet. It has a zip pocket ion the front for storing the smaller items such as car keys. This one is very popular with our overseas visitors. With the neutral colors, this bag is an all year, all season accessory.